Das Hotel lag in einem Wohngebiet von Faro mit einem Kiefernwald vor der Haustür (300 m), ist Raio de Sol eines der letzten Häuser vor der Ria Formosa, ein Naturpark (Land, Meer, Sonne, Störche und Flamingos ...) und Insel Faro mit seinem großen und schönen Sandstrand. Dies ist eine helle und geräumige Villa von 200 m2, im Jahr 2015 mit Hilfe eines jungen portugiesischen Designer renoviert. Heute Raio de Sol verbindet den Charme der portugiesischen Häuser der 80er und allen modernen Komfort, den man erwarten würde, ruhigen Urlaub mit der Familie zu leben. Auf einem geschlossenen Landschaftsgarten von 600 m2, bietet unsere Villa auf 2 Etagen, 4 große Schlafzimmer, 2 Suiten, mit jedem Zimmer ein bequemes Bett und ein Dressing; ein 27m2 Wohnzimmer mit großem Sofa und Chaise und 3 Ledersesseln, gebogen UHD-TV 55 Zoll und Stereoanlage; eine große offene Küche zum Esszimmer mit großen Fenstern geben Zugang zu einer Terrasse in L von 36 m2 in den Pool gebaut; zum Lesen und Entspannen, einen Aufenthaltsraum und eine Terrasse von 33 m2 im ersten Stock auf den Garten und die umliegende Landschaft. Ausgestattet für Freizeit und Sport, bietet Raio de Sol über einen privaten Pool 4 x 10 m mit einer Terrasse mit Sonnenliegen und Sonnenschirmen; eine Tischtennisplatte und 4 Mountainbikes; Tennis 100 m.
Geschäfte und Restaurants sind schnell in Montenegro (2 km) oder Faro (6 km), wo man auch durch um den Hafen oder in den gepflasterten Straßen, besuchen die alte Stadt, umgeben von Wällen und dominiert spazieren Dom, Museen, botanische Gärten und begeben sich auf die umliegenden Inseln zu besuchen. we had the most fabulous time at the villa. location was perfect, only 5 minutes from the airport but even though so close, no real noise from planes, we were 2 families of 4 and there was more than enough space for us. the villa was kitted out to the highest spec, amazing kitchen, air con throughout, perfect pool area. Marie was not available to meet us but had arranged for Graham, her English speaking friend to help us during our stay. He met us at the airport and led us back to the villa then showed us around and answered any questions we had. He also made himself available our whole stay if we needed him. The ping pong table and bikes were an absolute bonus, great alternative entertainment. Supermarkets and restaurants on the doorstep, only a five minute drive away though we walked a couple of times and only took 20 minutes. We went to faro old town a couple of times for food, we also took the ferry over to Isla Deserta which was a great trip. Forum Portugal was great for shopping. We also went to Lagos and kayacked round the coast and caves, we also went to Aquashow water park, a 20 minute drive, absolutely brilliant. it was a perfect trip and I can't recommend the villa enough. If I could suggest one thing it would be that there was a folder/file in the villa with suggested things to do/restaurants/supermarkets, but we did find out that for ourselves and get some advice from Graham, it would just be good for future guests to have that information to hand. Nous avons passé un merveilleux séjour à Faro. La villa Raio de Sol est spacieuse, confortable et très propre. Un rêve ! Nous avons pu profiter de tous les équipements proposés, autant ménagers que de loisirs (piscine, vélos, table de ping pong). Les photos présentées sur le site sont conformes à la réalité. Nous reviendrons sans aucun doute dans ce quartier calme et résidentiel afin de passer à nouveau un séjour dans cette belle région qu’est l’Algarve et que nous n’avons pas eu le temps de visiter dans sa totalité. Nous avons passé un excellent séjour dans la villa Raio de Sol où tout est fait pour le confort des vacanciers. Il ne manque rien ! La villa est idéalement située et nous a permis de découvrir la côte. Sa situation , proche de l’aéroport, est plutôt un avantage et ne nous a absolument pas dérangés. La mise à disposition des vélos est un plus et nous en avons profité pour découvrir les alentours. Bref, nous recommandons cette location et c’ est certain, nous y reviendrons ! Proche de l’aéroport, de la plage et de la Ria Formosa, cette propriété est située dans un quartier calme de villas privées. La villa est superbe, spacieuse et fonctionnelle, tout est mis à notre disposition pour que nous passions d’agréables vacances. Nous avons beaucoup profité de la piscine (qui est top) et des VTT pour nous promener, avec un grand choix de promenades :la pinède toute proche, ou de plus grandes randonnées dans la Ria Formosa ou pour aller sur la grande plage de Faro. Les propriétaires sont disponibles et ont répondu rapidement à toutes nos questions, nous recommandons cette villa et espérons revenir l’année prochaine. Lovely villa just a shame about the pool. The villa was lovely unfortunately we had a green pool for the majority of our holiday and the children couldn't use the pool for 6 days of our time there which was the main reason we booked a villa, when we tried to contact the lady who deals with any issues we may have whilst there she told us she doesn't get paid enough to deal with our problems and maybe our children have been weeing in the pool....honest to god our youngest is 8 and they are all toilet trained!! We was also told from the owner that we're lucky we didn't get charged for the pool man coming out to sort the problem as it was our responsibility to keep it clean and it had turned that colour from suncream (which is waterproof and how can you not use it when it's 30 degrees), the sun (I can't for the life of me figure out how that's meant to be my fault) or toys been in the pool (a lilo was left to use and it wasn't stipulated anywhere not to use pool toys)!! I only wish I could post photos of the colour of the water as it was disgusting!! 1 morning we even had a mouse swimming in the pool which again I took a photo of....not sure where it came from!! Every evening as the sun went down it was non stop dogs barking which kind of ruins the evening as your trying to chill. I love Faro and would definitely go back but I'd never stay at this over priced villa again and have to deal with the rude owner. We regret your appreciation, that unfortunately does not reflect the reality of your stay at the Vila Raio de Sol, and all the services offered, including the provision of a newly large private pool. Upon your arrival, the pool was perfectly clean, it worked quite normally and was not the subject of any observation from your side. The filtration and control of this swimming pool is ensured by a recent and efficient electronic equipment, but as you know, its daily maintenance – remove with the dip (that was at your disposal) the dirt that falls naturally in the swimming pool or brought by the children during their bathing and diving, regularly checking that objects or toys do not obstruct the filtration, etc. – was your responsibility. In any case it is not very nice to distort what this lady has said, she did everything to satisfy your requirements, she just tried to make you understand that the pool usual cleaning was not in her attributions, or in her remuneration. In all pools there are unfortunately sometimes small animals that drown, holding ourselves responsible for this is desperate. 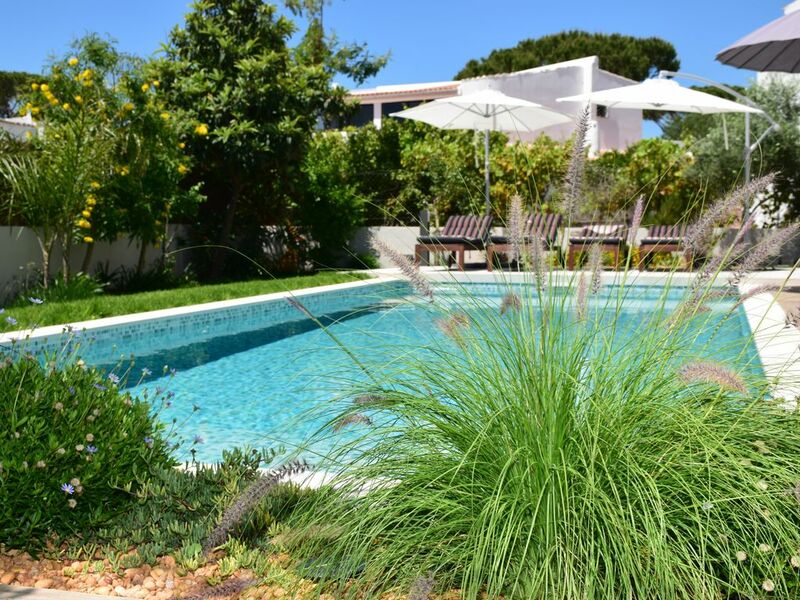 Trying to get compensation for then write such an appreciation, while we have put at your disposal a large and luxurious villa, is heartbreaking, especially since everything has been done by all to satisfy you, and make your stay in the Algarve pleasant. Versement d'une caution de 700 € 30 jours avant le date d'arrivée par chèque bancaire non encaissé Attestation d'assurance villégiature à fournir 30 j avant la date d'arrivée.